Perfect for a couple or a single traveler ready for the relaxing environment of the North Shore of Oahu, our Heliconia room is beautiful and inviting. Not like your typical hotel room, this space perfectly suits your needs with its plush queen-size bed and elegant décor, it is your private piece of paradise as you come to rest from wonderful days spent at Rocky Point, Sunset Beach, Haleiwa, and more. With windows overlooking our lush grounds & gardens, let the sounds of the birds chirping and swaying of the palm trees greet you in your comfortable home-away-from-home. And when you do get back from your days outside in the sunshine, we provide plenty of fresh bath and beach towels for you. 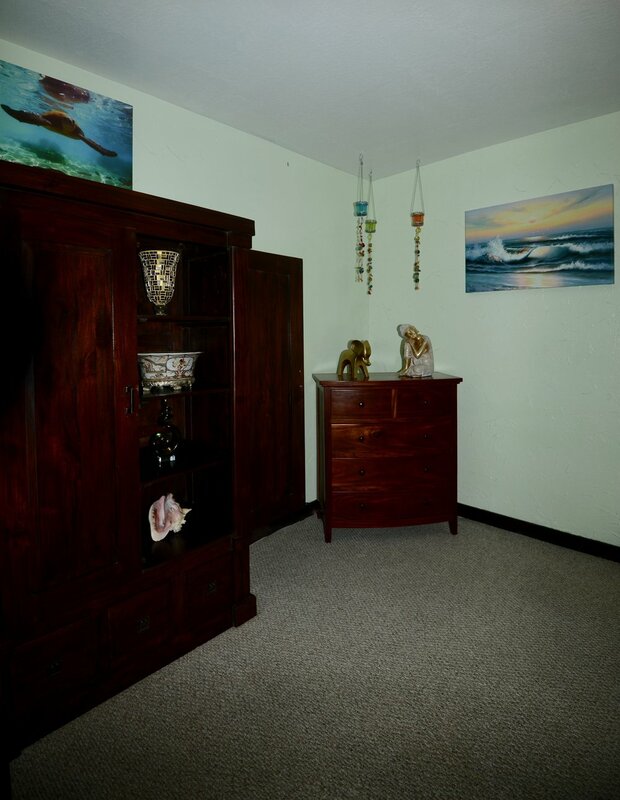 With this room we offer air conditioning, cable TV, free Wi-Fi, bath towels, beach towels, a private security safe (large enough to hold a laptop), and on request we can offer a hair dryer, iron, and other amenities. Mahalo! We will respond to you inquiry as quickly as we are able.